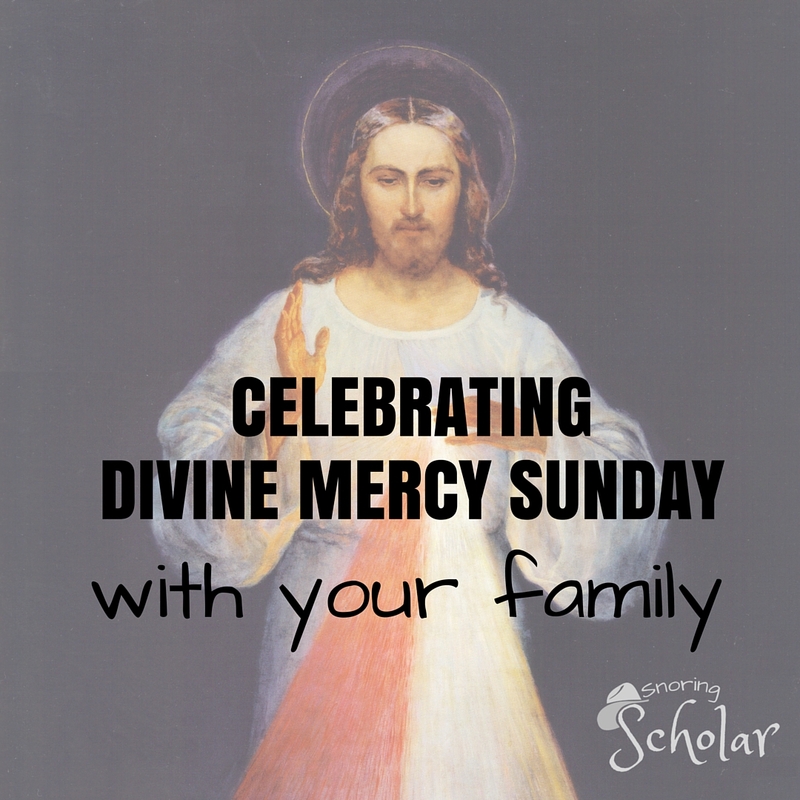 How do you celebrate Divine Mercy Sunday with your family? Michele Faehnle kindly shared the following story about how her family celebrated it recently. I’d love to hear how YOU observe it, any plans you have, and what thoughts you can share. 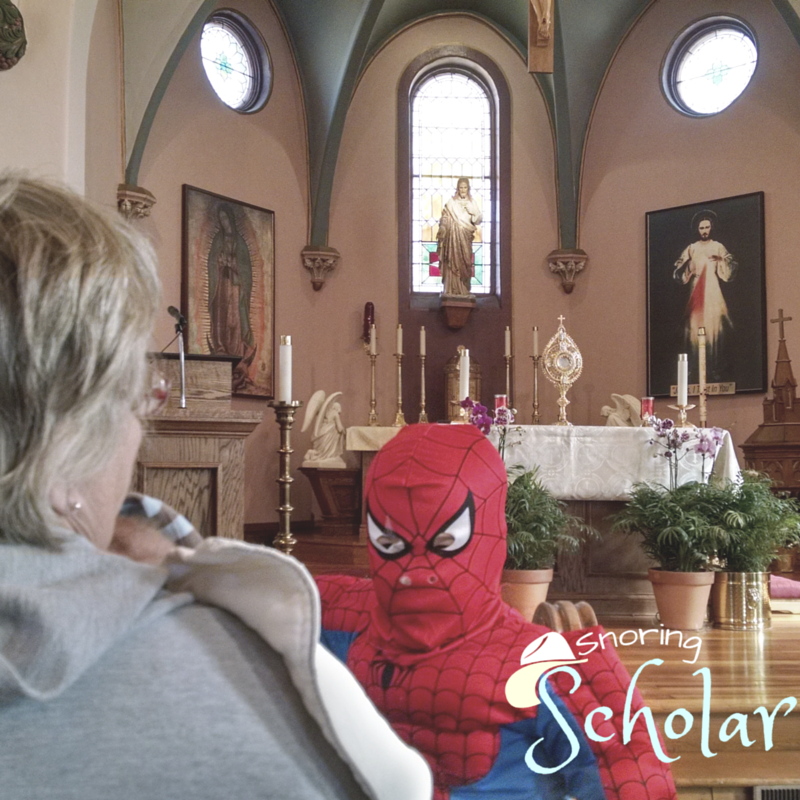 When I was asked to speak at the Shrine for a special project for my friend Fr. 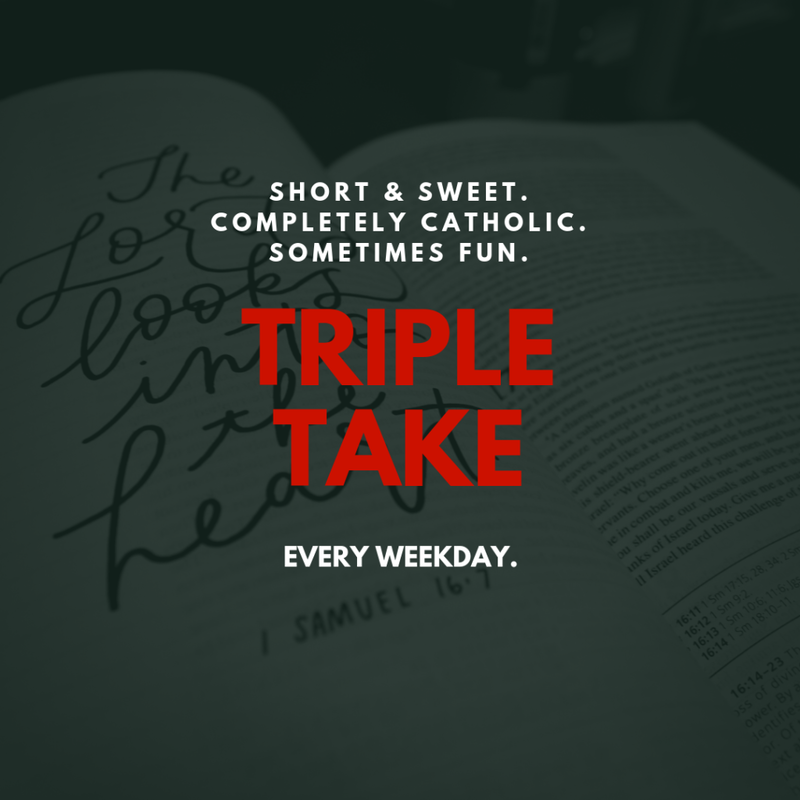 Michael Gaitley, I had to choose between hopping on a plane and going by myself, or bringing the rest of my family (husband and three children) with me on a ten-hour road trip from our home in Columbus, Ohio. I knew what an amazing experience it would be for my whole family to experience the Shrine on such a holy day—it was, as they say, the opportunity of a lifetime. 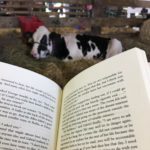 I decided we should make the road trip together and pitched the idea to my husband. Matt is self-employed, and he wasn’t so sure that a week of unpaid vacation, especially with a new baby coming so soon, was a good idea. He also reminded me that our Catholic school’s tuition for the next year was due shortly, and we certainly didn’t have any spare money lying around! I told him that if God wanted us to go, he would make it clear to us with a sign. How could he argue with that? At eight forty-five, the drawing was announced. The emcee cracked some jokes and shook a gift bag full of names, finally drawing one ticket from the bag. Looking out over the crowd, he announced that the winner of the raffle was . . . Matt and Michele Faehnle! I was in shock, even though I had been praying for a sign. 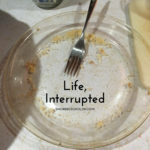 Sometimes God just has to knock me over to get my attention—he certainly got it that night. One look at Matt told me I wasn’t the only one who had decoded the signal: my husband knew where we were headed on spring break. Just as I had hoped, it was a beautiful experience for my whole family. We stood on the top of the hill with thousands of pilgrims to the National Shrine of The Divine Mercy in Stockbridge, Massachusetts, and chanted the Chaplet to Divine Mercy. The sun was high in the sky, and the mercy and love of God were palpable in the sunlight and in the voices filling the air. I knew God was blessing us for taking this pilgrimage as well as all the people that were gathered there. What I didn’t know, was that He was also preparing me for what was going to come next in my life. Our little girl arrived few weeks later. Shortly afterwards we were notified there was “something wrong” with our baby. 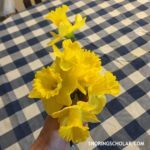 Genetics testing confirmed what we feared, and I found myself unsettled by the news. 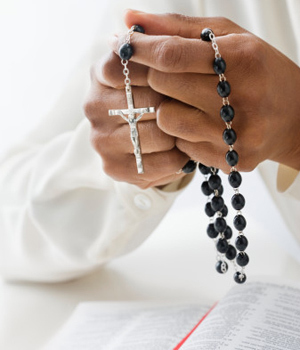 However, I placed her life in Our Lord’s hands and said, “Jesus I Trust In You.” I knew it was because of the ocean of graces that had been poured out on our family on Divine Mercy Sunday I was able to be at peace and trust in Him. 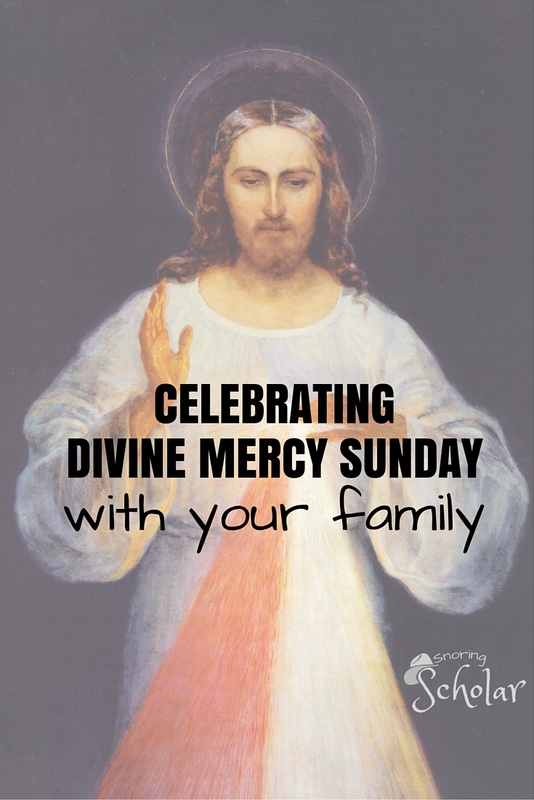 Divine Mercy Sunday is a Feast Day you don’t want to miss! Jesus promised to “pour out a whole ocean of graces upon those souls who approach the Fount of My Mercy” (St. Faustina’s Diary, 699) on this day. 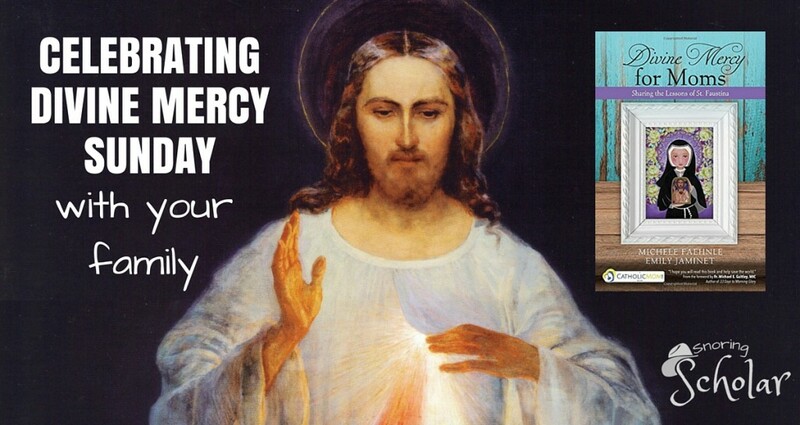 Download the official Divine Mercy app to learn more about this Feast Day, the Divine Mercy Devotion and prepare by praying the Novena to Divine Mercy. This is, in part, an excerpt from Divine Mercy for Moms: Sharing the Lessons of St. Faustina, modified slightly for publication here. It was used and reprinted with permission of Ave Maria Press. 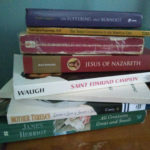 Michele Faehnle is the co-author, with Emily Jaminet, of Divine Mercy for Moms, and you can find her online at Divine Mercy for Moms, CatholicMom.com, and for the Columbus Catholic Women’s Conference (which she also organizes and runs).